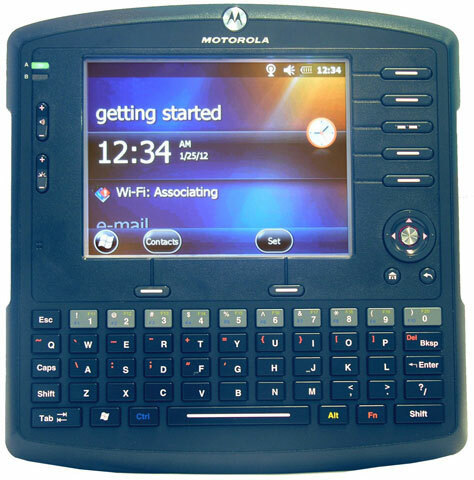 Motorola VC6090 - Vehicle Computer, WLAN 802.11a/b/g, Bluetooth, Windows Mobile 6.X, 128/256MB, 6.5 inch VGA Display, Touch Screen, Includes 10-33VDC Power for Gas/Diesel Fork Lift and Ram Mount. The Ideal Form Factor Vehicle Computer For Small Forklift. The Motorola VC6090 lift truck mounted mobile computer is size and weight optimized to fit any tight spaced lift trucks, carts and other vehicles. With pre-loaded and pre-licensed Wavelink Terminal Emulation, and the integrated, large key integrated QWERTY keyboard, the VC6090 is ready for use out of the box. 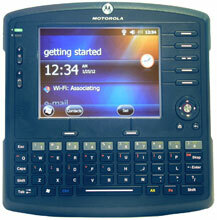 Applications developed for other Motorola mobile computers can be easily ported to the VC6090, reducing software development and training. The Motorola VC6090-10-33VDC is also known as MOT-VC60901033VCD	or VC60901033VDC	.